Welcome to our Writers Wednesday Spotlight! Each week we will be highlighting a different geeky writer we think you might like to check out. For this week’s spotlight, we are excited to introduce you to Elisa Hansen! 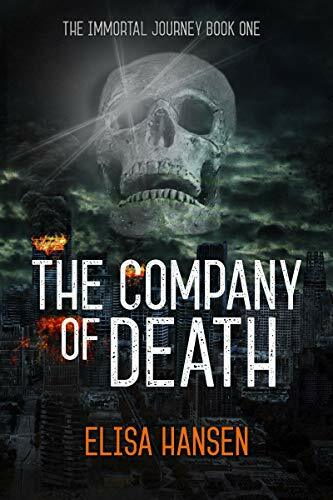 Her book “The Company of Death (The Immortal Journey Book 1) ” will be released January 17, 2019 by Falstaff Books! 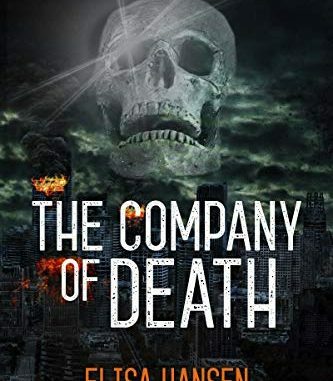 You can purchase “The Company of Death (The Immortal Journey Book 1) ” here. When Elisa Hansen’s not writing books, you can find her on YouTube as her alter-ego, The Maven of the Eventide. 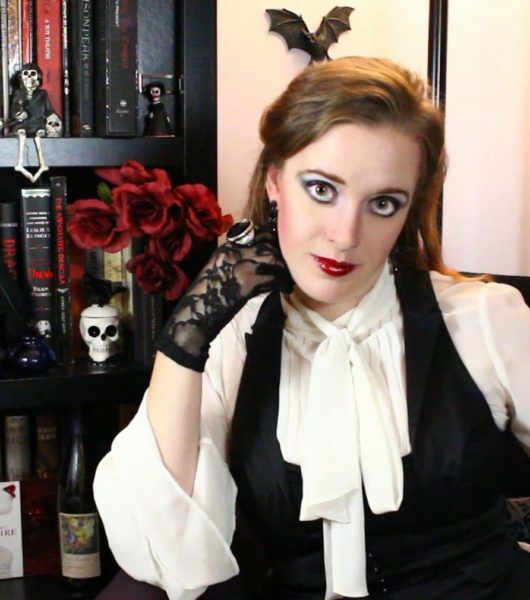 Her humorously analytical video essay webseries, Vampire Reviews, examines the evolution of vampire tropes and social allegories in media and pop culture through a feminist lens. Born and raised in Southern California, she lived fifteen years in New York City before settling in Charlotte, NC, where she is part of the Charlotte Writers community. She has a BA in Theatre with a music minor from Pace University. The zombie apocalypse was just the beginning of Emily’s problems. Now the vampire hunter has to ride cross-country with Death himself in this thrilling apocalyptic adventure series! 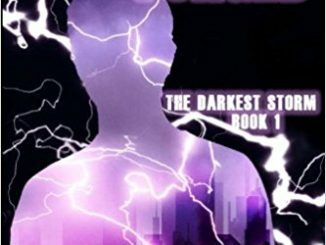 Two years after the zombie uprising devours 99% of the world’s population, it’s Emily Campbell’s job to destroy vampire communes and rescue their human herds. When a mission goes wrong, and she’s faced with certain undeath, she would rather kill herself than ever let them transform her. The problem is that when she tries, the Grim Reaper fails to take her life. And he somehow loses all his powers in the process. Now neither alive nor dead, Emily finds herself stranded in the California desert with Death himself. If she can get him to help her, there’s a chance she can cross the vampire- and zombie-swarmed continent to New York, where the remnants of civilization are developing a cure that could make her human again.But without his powers, Death is mired in a crisis of his own. And he is not used to having company. About ten years ago. I’ve been writing stories as long as I can remember, but I used to want to be an actor, and I went to college for musical theatre. 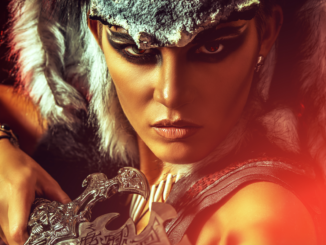 I love bringing characters to life, and when I realized how well all my theatrical training applied to writing, it opened up a whole new realm of possibilities for me to create my own worlds. Dark, twisted, and Gothic with a touch of humor. 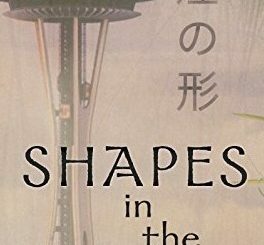 I write about monsters with feelings and also people who are “supposed to be adults” but have no idea what that really means or how they fit into the world. I mostly write paranormal and supernatural stories, sometimes set in the Victorian era, sometimes futuristic. I incorporate sci-fi elements often, but usually in a “soft” way. Death and the Maiden is a motif that runs through all of my work. Earlier this year, I finished (and am currently querying) a contemporary novel that’s a modernized feminist retelling of “Phantom of the Opera” about a YouTuber, exploring internet harassment and fandom culture. And now I’m working on books 2 and 3 for the Company of Death trilogy. “Interview with the Vampire” — It had a huge impact on the landscape of genre fiction as well as reinvented the vampire as a literary device in a way that changed the entire world’s perception of them. It would be the greatest of accomplishments to ever write a book so meaningful, influential, and important about a subject as awesome and spooky as vampires. Write the book you wish existed but can’t find anywhere. I longed for a spooky book about the Grim Reaper as a main character that wasn’t a comedy or parody, where he was the one-and-only Death (not some human who becomes Death), and I could never find one that fit what I wanted. So I wrote my own! But even if your ideas are similar to existing things, only YOU can write your version, so write it now or it will never exist. Find Elisa Hansen on the Interwebz!